[dropcap]W[/dropcap]e had a double whammy of Tooth Fairy visits this weekend. 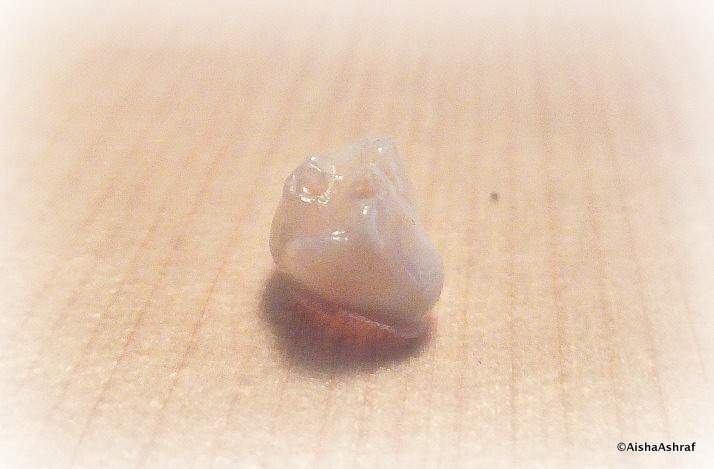 J lost one on Friday night (at eight she’s only a few molars away from a full set of adult teeth!) and T, a rookie who’d been growing increasingly nervous the looser his lower front tooth got, gave me a big gappy smile when I came downstairs on Saturday morning. “Your tooth’s come out!” I yelled and his hand shot to his mouth, quizzical eyes confirming he hadn’t even realised. Sure enough, when I looked in on T before I went to bed there was the note on his bedside table. I pushed a shiny loonie under his pillow and silently took the piece of paper, folded it and tucked it away in my memory box. I’m not really sure why but I keep my children’s baby teeth when they fall out. I can’t bring myself to throw them away – they’re a piece of what’s dearest to me. When we first moved to Canada I took the plumbing of a sink apart to locate one that had fallen down the plug-hole. I couldn’t bear to think of something from my child abandoned in a strange country, far from everything familiar. It reminds me of the first time I posted a physical photo of my eldest when she was a baby – it was like letting go of a part of her. What if it ended up crumpled or torn? I can’t quite explain it, I suppose it’s to do with connectedness. It made me think of how the only way you’re supposed to dispose of paper with arabic Quranic verses written on it is by burning it, that way the word of God can’t be disrespected or defiled by being trodden on or soiled. I’ll probably do what my mother did and present my bemused brood with their bagged dental cast-offs when they’re older. I asked K if there were any Punjabi practices surrounding milk teeth falling out. He knew of nothing – didn’t find out about the whole Tooth Fairy deal until he was older, talk about shortchanged! When I was young (and perhaps a tad precocious) I left a letter for the tooth fairy asking for three wishes instead of money. I think I was starting to become suspicious, so in reality it was a way to try to uncover the truth. My mother must have spent ages writing the letter (in spindly fairy writing) explaining that she wasn’t qualified to grant wishes. It kept me believing for a while longer! You took the sink apart? Oh my you do love them. My little one still has not lost any, but I imagine they’ll be going in the trash. Sorry Mama. All my 10 year old’s baby teeth sit in a little miniature cup on the bedroom window sill, where I hope they stay for a very long time. Creeps him mum out a bit, though. Haha! Oh the marvellous coincidence! I’ve just finished unpacking my 12 year old daughter’s bedroom and found a tiny pot. I opened it and found her baby teeth! Now, I didn’t keep them, but my husband did, bless him. 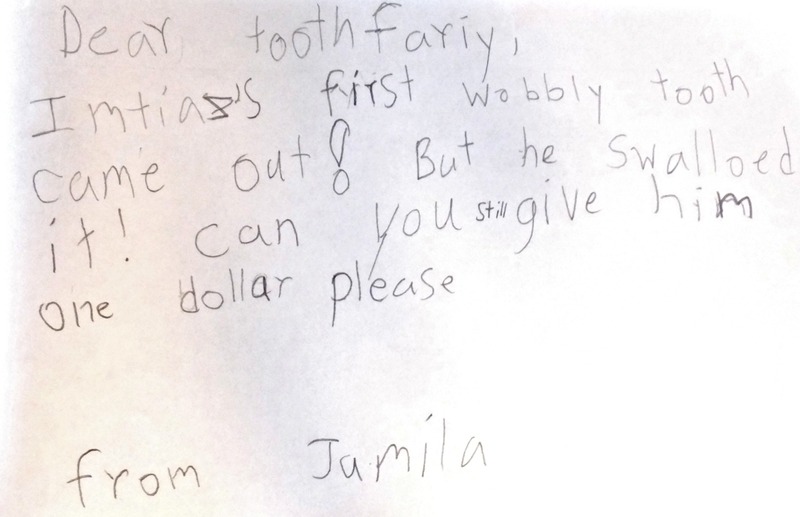 When she discovered the true tooth fairy (traumatic!) she wanted them all back. Lucky he was more sentimental than me, I guess. 🙂 I LOVE a happy ending!